Melissa Bushell’s specialty shop, Baked by Melissa, is lined wall-to-wall with an array of miniature cupcakes that delight the eyes and taste buds alike. Bite-sized yet filled with flavor, each cupcake carries an emblem of color and can be custom made. Sold at one dollar a pop, these sweet, “recession-proof” cupcakes are sure to brighten your day without breaking the bank. But don’t expect to be satisfied with just one! 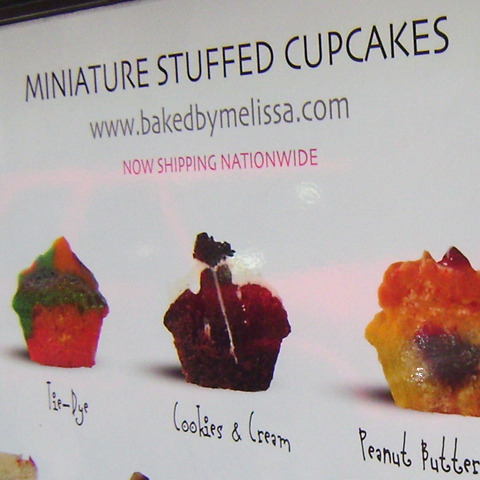 Baked by Melissa has four New York locations: SoHo, Union Square, Grand Central and Fashion District. Daily: 9:00 a.m. to 9:00 p.m.